Veerabhadra is a mythological character created by Lord Shiva, and this pose derives its name from there. 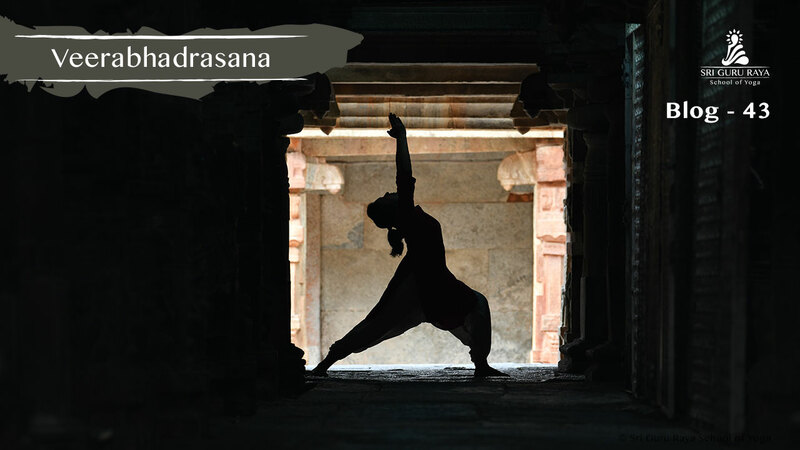 The Virabhadrasana I is an asana honouring the feats of a legendary warrior. Hence, it is also called the Warrior 1 pose. This asana is considered to be one of the most graceful postures in yoga, and it adds a whole lot of beauty to the workout. Stretches the chest and lungs, shoulders and neck, belly, groins. This asana is known to strengthen and tone the lower back, the arms, and the legs. It helps to stabilize and balance the body as it increases the stamina. It is also a great asana for those with the desk or sedentary jobs. It stimulates the metabolism as well as restores the spine. This asana helps ease out frozen shoulders. It also helps release stress from the shoulders almost immediately. Stand erect and spread your legs about three to four feet apart. Your right foot should be in the front and the left foot behind. Now, turn your right foot outwards by 90 degrees and the left by 15 degrees, making sure the heel of the right foot is perfectly aligned with the centre of the left foot. Lift your arms sideways until they reach the height of your shoulders. Your arms must be parallel to the ground, and your palms should be facing upwards. Exhale and bend your right knee, such that your knee and ankle form a straight line. Make sure that your knee does not go ahead of your ankle. Now turn your gaze to your right. As you move into the pose, stretch your arms further and join your palms above your head. Look at your palms. Gently push your pelvis down. Hold the pose with the same determination as a warrior and wear a smile on your face. Breathe normally and keep going down. Exhale and gently bring your hands down from the sides. Repeat this pose on the left side, with your left leg in the front and the right one at the back. Don’t perform this asana in case of any spinal ailments. Avoid practicing this asana if you suffer from heart problems, severe neck or shoulder pain, knee pain, High BP or chronic illness.